In 2012, Jackie Cohen met Mark Plaisir at a gym on the Upper West Side in New York City. As they began to train together, Jackie and Mark formed a strong partnership based on a shared passion for fitness and wellness. In 2015, they co-founded Safe Training Strategy, with the goal of safely and successfully changing people’s lives through fitness. Working out doesn’t have to be complicated, but it needs to be smart. People over the age of 40 have different needs and physical challenges that impact the way they should train. STS wants their clients to benefit from a calmer nervous system and a level of energy that they haven’t felt in years. Jackie holds a Masters degree in Drama Therapy from New York University. She is a certified Executive Coach and Therapeutic Yoga Practitioner. Jackie completed extensive training at Columbia University in Narrative Medicine. She facilitates leadership and mindfulness based workshops and classes in corporations such as Morgan Stanley, Young Presidents Organization, Sotheby’s International, Yale University and New York City Public Schools and hospitals. She has an established practice offering individual and group sessions and weekend retreats. In addition to Safe Training Strategy, Jackie runs a life-coaching organization, Form For Life, which specializes in empowering people to achieve success and wellness in both their personal and professional lives. Mark holds a Bachelor’s Degree in Biology and Exercise Science from Touro College. 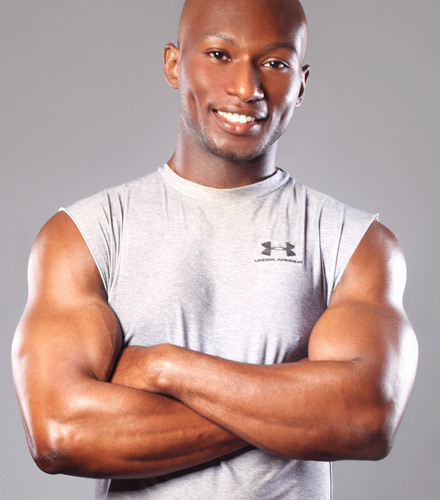 He is also a certified Patient Care Manager and Master Personal Trainer. One thing that distinguishes Mark from most other trainers is that he specifically tailors his workouts to meet to each client’s individuals needs by considering their physical strengths, limitations and state of mind. Mark’s goal is to make fitness simple, convenient, and productive. He utilizes minimal fitness equipment and makes sessions fun and engaging. Mark has worked with a wide range of clients from ages 10-93 for weight loss, muscle mass increase, strength and flexibility training, injury prevention and recovery . His sessions are held at the homes of his clients, local gyms, outdoor training areas, or online. Mark is available for one-on-one as well as for group and family fitness sessions. In 2012, Jackie Cohen met Mark Plaisir at a gym in New York City. As the pair began to train together, they formed a strong partnership based on a shared passion for fitness and wellness. In 2015, Jackie and Mark co-founded Safe Training Strategy, with the goal of safely and successfully changing people’s lives through fitness. She is a certified Executive Coach and a Certified Therapeutic Yoga Practitioner. Jackie completed extensive training at Columbia University in Narrative Medicine. She leads leadership and mindfulness based workshops and classes in corporations such as Morgan Stanley, Young Presidents Organization, Sotheby’s International, Yale University and New York City Public Schools and hospitals. Mark holds a Bachelor’s Degree in Biology and Exercise Science from Touro College. He’s also a Certified Patient Care Manager and a Certified master Personal Trainer. One thing that differs Mark from most other trainers, as his clients would say, is that he caters to every client’s specific need, state of mind, physical capabilities while still pushes them to give their best. Mark’s goal is to make fitness simple, convenient, and result oriented. He utilizes minimal fitness equipment and makes sessions fun and engaging. Mark has worked with a wide range of clients, age 8-93 who were seeking to lose weight, put on muscle mass, tone, gain strength, flexibility, prevent injuries, recover and more. His sessions are held in either clients’ homes, gyms, outdoors, or online.